Victoria: Don’t go in the closet. Annabel: Why not? What’s in the closet? They say that there is nothing as powerful as a mother’s love. Now, they say a lot of things, but I’m pretty sure that when they said this, they weren’t considering how much more powerful, and supernatural for that matter, that love is when said mother is coming from beyond the grave. 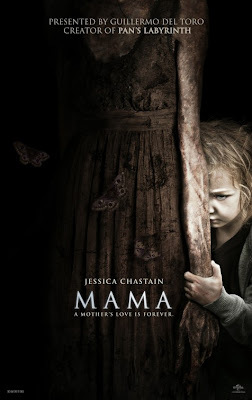 Writer/Director, Andres Muschietti, has considered this possibility and gives us his thoughts on exactly how this could play out in MAMA, a feature length adaptation of his 2008 Spanish, short film of the same name. After seeing it, two reactions are sure to follow. First of all, you’ll never complain about your mother smothering you ever again. Past that, you may also wish your mother was still on hand to tuck you in to bed at night. After losing everything in the stock market, a man kills his wife and kidnaps his two young daughters, bringing them to a cabin in the woods to kill them as well. His plan would have come to fruition too, if it weren’t for the one factor he didn’t take into consideration when he was having his mental lapse. His girls are saved by Mama, the maternal spirit that calls this cabin home, and once Daddy is appropriately removed from their lives, she decides to raise the children as her own. I’m sure her intentions were good but by the time the girls are found five years later, they are essentially animals with little speech ability and motor functionality. They are taken into the care of their dead father’s brother and his rocker girlfriend (Nikolaj Coster-Waldau and Jessica Chastain) and away from the cabin they’ve called home all this time. Mama is none too pleased about this development, as I’m sure you can imagine. MAMA is a stylish thriller that shows genuine promise from first time feature filmmaker, Muschietti, an opinion clearly shared by executive producer, Guillermo del Toro, given his support for the film. It is a layered work that interweaves conflicting ideas about what truly makes someone a mother. Chastain’s Annabel, for instance, isn’t even sure she wants children but yet has to find her maternal instincts in order to truly protect the girls. While Mama’s overbearing stronghold on the girls is itself really just another attempt at keeping them from what she perceives to be harm. The ideas are present but they are not always fully formed, as the film does confuse the issue at times when it seems to suggest that the idea of settling into a normal family unit could in fact be the real horror. Come the end, Muschietti may not have worked out all his own unresolved mommy issues but he does manage communicate his fears quite effectively. 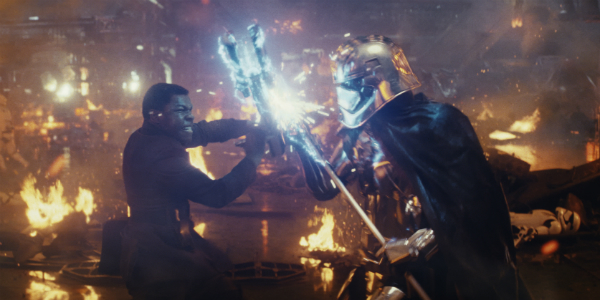 And besides, that’s what sequels are for. hmmm...a mixed review. but i'm intrigued. Great review! I personally really liked this movie because it reminded me of my grandma (no really it did, you have no idea how crazy she was...). Though I will agree that certain ideas are lost at times, or even being contradicted, I must say that this movie isn't at all disappointing!